TOMODACHI is excited to host a new musical performance for fans of music from classic video games and movies! Aaron Kerr, local musician, composer, and music editor, will be returning to TOMODACHI to perform alongside violinist Laura Harada and pianist Rebecca Hass as the Modern Spark Trio! The group will be performing at TOMODACHI’s Rosedale Shopping Center location on Friday, April 18th from 6:00 PM to 8:00 PM, and will be performing music from popular franchises like Mario, Zelda, Star Wars, and Harry Potter, alongside music from Studio Ghibli films. 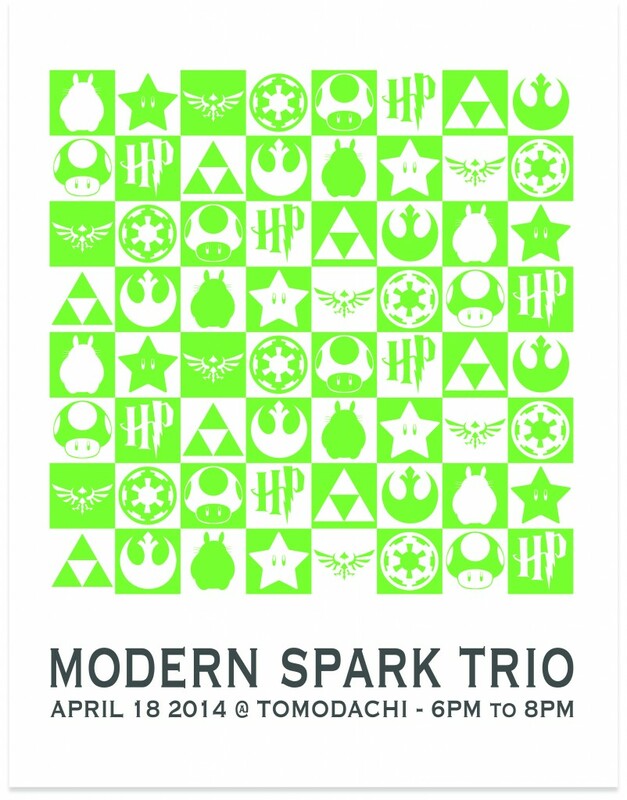 There will be no entry charge, so please feel free to stop by on April 18th and relax with some classic tunes from the Modern Spark Trio! The Modern Spark Trio is a professional Twin Cities-based trio, playing piano, violin and cello, who met through performing in different groups in the Twin Cites. All three members share a passion for music, and their sound encompasses many genres of music, including classical, jazz, rock, folk, world music, and modern composition. Make sure to check out their website at http://www.modernsparktrio.com/ for more information about the group and their music!